Schematic procedure for using the EpiQuik Total Histone H4 Acetylation Detection Fast Kit (Colorimetric). Captures histone H4 acetylated at any lysine site with the detection limit as low 2 ng/well and detection range from 5 ng-2 µg/well of histone extracts. 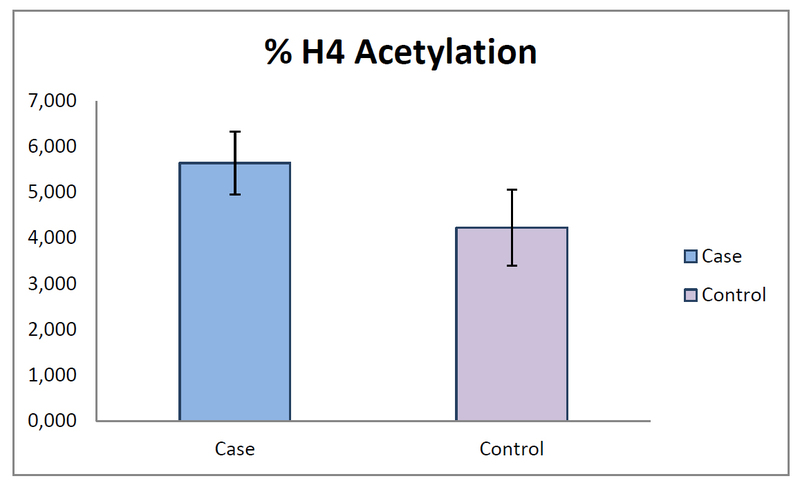 The control is conveniently included for the quantification of the amount of acetylated histone H4. The EpiQuik™ Total Histone H4 Acetylation Detection Fast Kit (Colorimetric) is designed for measuring total histone H4 acetylation in a fast format. In an assay with this kit, the acetyl histone H4 is captured to the strip wells coated with an anti-acetyl histone H4 antibody. The captured acetyl histone H4 can then be detected with a labeled detection antibody followed by a color development reagent. The ratio of acetyl histone H4 is proportional to the intensity of absorbance. The absolute amount of acetyl histone H4 can be quantified by comparing to the standard control. Fig. 1. Schematic procedure for using the EpiQuik Total Histone H4 Acetylation Detection Fast Kit (Colorimetric). Shepherd DL et. al. (May 2018). Mitochondrial proteome disruption in the diabetic heart through targeted epigenetic regulation at the mitochondrial heat shock protein 70 (mtHsp70) nuclear locus. J Mol Cell Cardiol. Yamanishi M et. al. (November 2014). Melatonin overcomes resistance to clofarabine in two leukemic cell lines by increased expression of deoxycytidine kinase. Exp Hematol. Hernández-Jiménez M et. al. (August 2013). Silent information regulator 1 protects the brain against cerebral ischemic damage. Stroke. 44(8):2333-7. We analyzed the histone modifications associated with biologic drugs treatment in different time points of the treatment following the manufacturers´ instructions. It is ready to use, easy and fast to perform. The amount of Antibody buffer (C2) is quite restrictive. The kit does not include enough volume to perform pre-dilutions of the samples. When we measured the background of the empty plates that had been at room temperature for at least 15 minutes, you can see that the background is not homogenous. 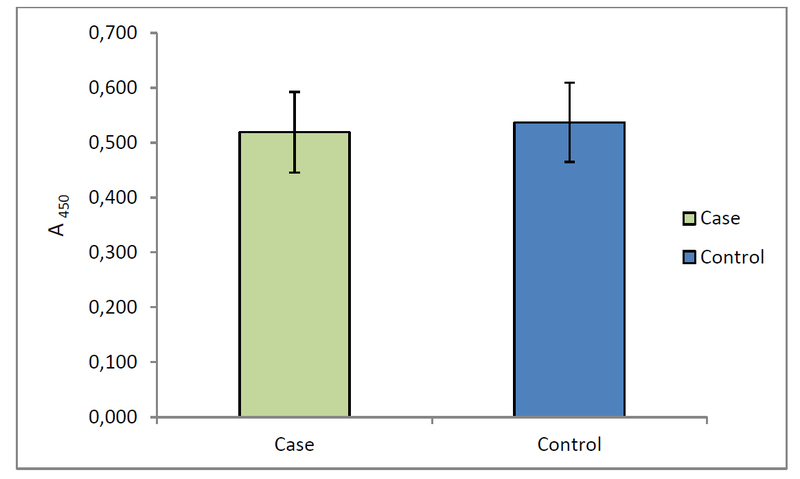 As the expected differences between our case and control samples are quite small, the variability found in the background may mask the specific differences within them. Nevertheless, I guess that it is difficult to obtain a totally homogenous background. It is important to underlie that all materials needed are included in the kit. To carry out the experiments you only need a microplate spectrophotometer and a centrifuge. The affinity of the antibodies for the histone modifications is very high which reduces the incubation times (60-90 minutes). Differences in the percentage of acetylated H4 in peripheral blood mononuclear cells of healthy subjects. Comparison of the Absorbance at 450nm between our case and control subjects after applying the EpiQuik Total Histone H4 Acethylation Assay Kit.